Kathleen Kendall-Tackett is a health psychologist and an International Board Certified Lactation Consultant. She is the Owner and Editor-in-Chief of Praeclarus Press, a small press specializing in women’s health. Dr. Kendall-Tackett is a Research Associate at the Crimes against Children Research Center at the University of New Hampshire, Clinical Associate Professor of Pediatrics at Texas Tech University School of Medicine in Amarillo, Texas. 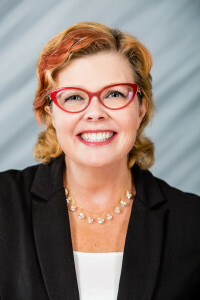 She is a Fellow of the American Psychological Association in both the Divisions of Health and Trauma Psychology, Editor-in-Chief of U.S. Lactation Consultant Association’s journal, Clinical Lactation, and is President-Elect of the American Psychological Association’s Division of Trauma Psychology. Dr. Kendall-Tackett is author of more than 320 journal articles, book chapters and other publications, and author or editor of 22 books in the fields of trauma, women’s health, depression, and breastfeeding, including Treating the Lifetime Health Effects of Childhood Victimization, 2nd Edition (2013, Civic Research Institute), Depression in New Mothers, 2nd Edition (2010, Routledge), The Psychoneuroimmunology of Chronic Disease (2010, American Psychological Association), and Breastfeeding Made Simple, 2nd Edition (co-authored with Nancy Mohrbacher, 2010). Dr. Kendall-Tackett received a Bachelor’s and Master’s degree in psychology from California State University, Chico, and a Ph.D. from Brandeis University in social and developmental psychology. She has won several awards including the Outstanding Research Study Award from the American Professional Society on the Abuse of Children. She was named Distinguished Alumna, College of Behavioral and Social Sciences, California State University, Chico. In 2011, she received the John Kennell & Marshall Klaus Award for Excellence in Research from DONA International (with co-recipient Thomas Hale), and the Community Faculty Award from the Department of Pediatrics, Texas Tech University School of Medicine.